As the medium of television matured into the 1970s, so did the programming—especially children’s educational variety series, which used music and comedy to teach grammar, math, and other subjects. These shows were also responsible for introducing a more amicable vampire to a young, captive audience. 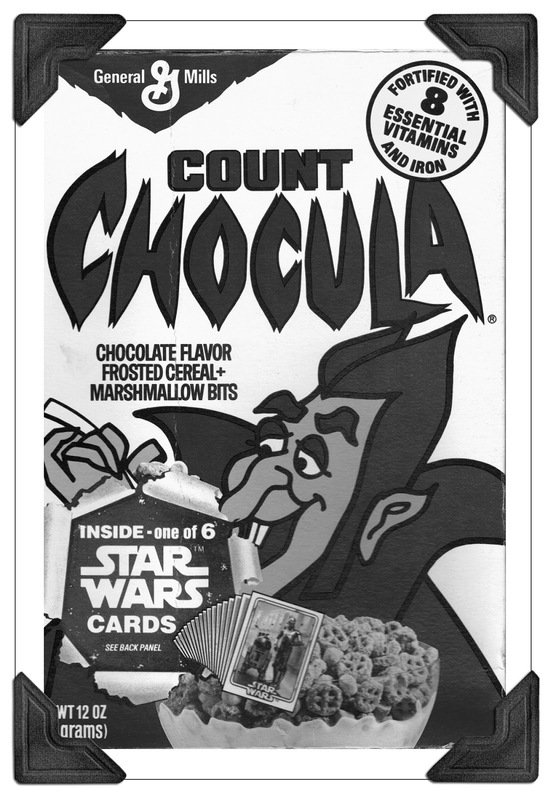 In turn, friendly vampires started appearing in toy stores, the grocery aisles, and in the form of candy, sweets, and fanged accoutrements. 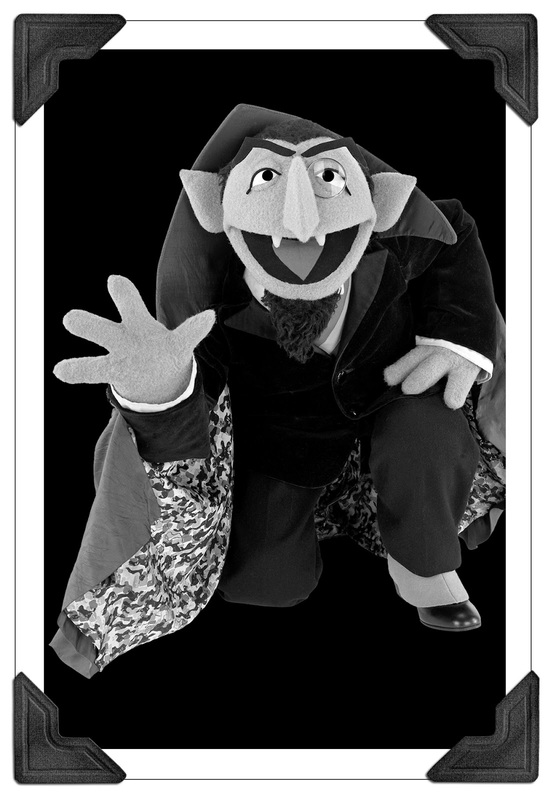 Arguably, the most famous of these kid-friendly vampires is Count von Count, from Sesame Street, who had several undead "lady friends" over the years: Countess Natasha, Countess Dahling von Dahling, and Countess von Backwards (even his vampire mother made an appearance). 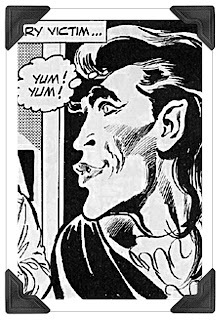 But since this character is so well-known, instead, I'd like to focus on a clutch of vampires from a different series, all of whom were portrayed by a famous actor. 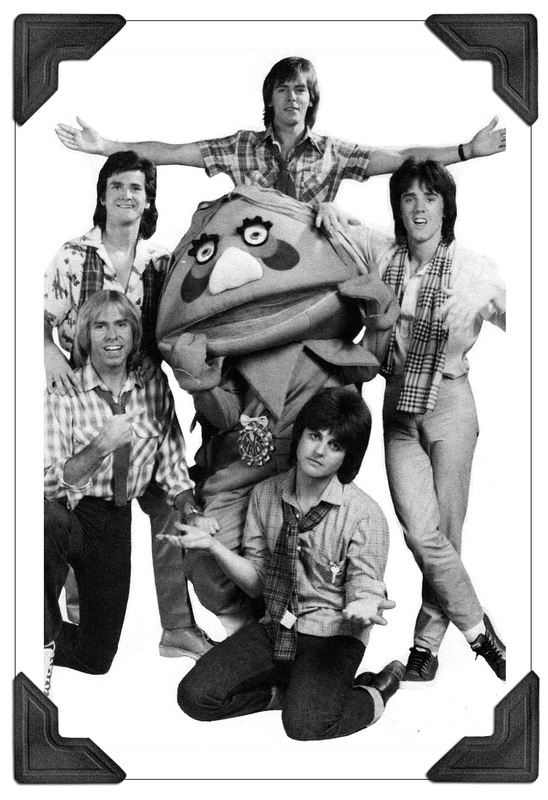 These vampires appeared on The Electric Company, a lesser-known children’s variety series, where Saturday Night Live met Sesame Street. These roles were played by Oscar-award winning actor Morgan Freeman, who added a hint of malice to his undead characters. The following clips highlight some of his appearances during the series, which ran from 1971-1977. Freeman's work on The Electric Company made him the first African-American Dracula, but there was never any focus on the fact that he was an African-American playing Dracula; he was simply an actor taking on a role--which perhaps spoke to the greater societal shift brought about by the African-American Civil Rights Movement of the 1950s-60s. This is in contrast to his compatriot vampires on film, such as Prince Mamuwalde from the blaxploitation movie, Blacula (1972). 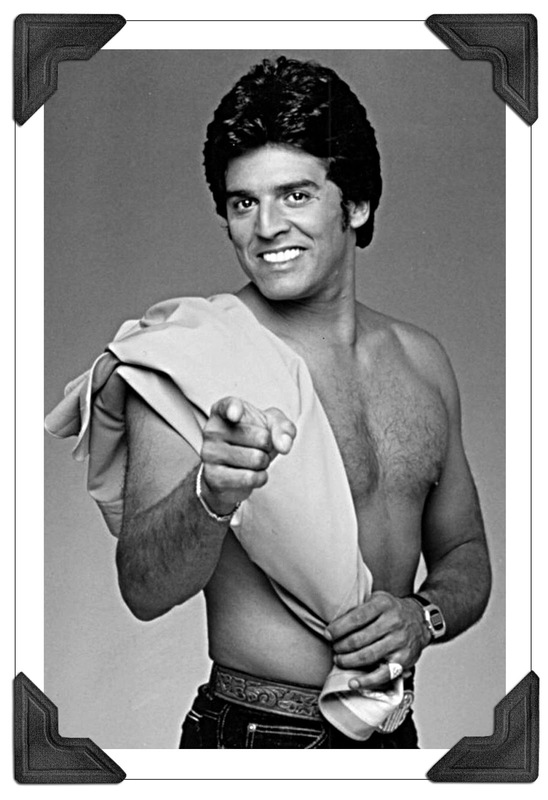 As with other popular culture of the day, disco, glitter, and glam was all the rage, and this was reflected in variety programming. It was also a time when a horde of musicians, models, and athletes took a stab at acting. This led to such quirky mash-ups as The Bay City Rollers Meet the Saturday Superstars, where a Scottish pop band took part in skits that also featured characters from the productions of Sid and Marty Krofft. For whatever reason, this particular special added Count Dracula into the mix, and featured a skit where his betrothed—a witch—dumps him after meeting football great Joe Namath. 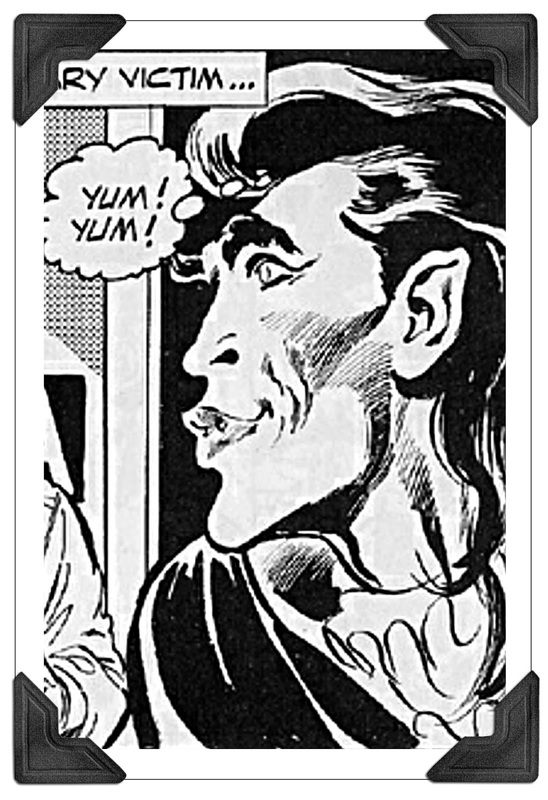 This was also a time when the Gay Rights Movement was at the forefront of American consciousness, and, perhaps in response to this, a ground-breaking humour magazine unleashed a very unique vampire onto the populace. LGBT rights in the United States have made huge strides since the 1970s, so it's hard to imagine a time when this type of character would have been deemed appropriate. In 1979, Dragula resurfaced as part of an early HBO television special: National Lampoon Presents Disco Beaver From Outer Space. The main story arc features a space-faring, human-sized Canadian beaver, which has several misadventures while exploring New York City (essentially, a man in a beaver suit wanders around NYC). Interspersed are a series of comedy sketches, some of which lampooned both sides of the gay rights movement. Much like in the original text, the Dragula segments depict homosexuality as a contagion that, through exposure, can turn any man—even the most masculine—gay. In this adaptation, Dragula is played very camp, and still has a taste for macho men; his dark influence soon spreads to construction workers, Country and Western singers, and hockey players. Dragula’s most toxic repellent? Any image of a beaver! As I mentioned, National Lampoon Presents Disco Beaver From Outer Space parodied both sides of this issue. The following clip is a cutting jab at Anita Bryant, a singer who famously championed discrimination against homosexuals in the late 1970s. During this campaign, she stated, "As a mother, I know that homosexuals cannot biologically reproduce children; therefore, they must recruit our children...if gays are granted rights, next we'll have to give rights to prostitutes and to people who sleep with St. Bernards and to nail biters." In this clip, she plugs her new program, "Homo No Mo," a miraculous cure for homosexuality. By the mid-1980s, a live component was introduced as a means to spice up traditional variety programming, which had started to wane in popularity. This resulted in a handful of live, high-concept and over-hyped TV specials, which included such flops as The Mystery of Al Capone’s Vault with Geraldo Rivera (which was famously empty) and Return to the Titanic—Live! with Telly Savalas (which was an exercise in bad taste). Dracula, Live From Transylvania was part of this trend, and featured George Hamilton as he explored Solomon’s Tower in Hungary, where Vlad Tepes once spent the better part of a decade after his arrest in 1463. This program featured dramatic pieces, conversations with scholars, and segments covering The Highgate Vampire, Whitby, and other related subjects. The following clip features Hamilton in conversation with authors Radu Florescu and Raymond McNally, who discuss their new book, "Dracula, Prince of Many Faces." Even though the TV special ends in full-on drama mode, it's quite well done, and is a fitting snapshot of vampires in popular culture during this period. In part three, I will take a look at 1990-Present, which has seen a sharp decline in traditional variety programming. Late-night talk shows have become the primary showcase for delivering pop culture to the masses, however, I will highlight two modern productions that showcase vampires in a new and interesting light.